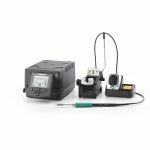 JBC Tools Heavy Duty Soldering Station Line is the ideal solution for high thermal demand or prolonged soldering applications such as the production of solar panels, multi-layered circuits and components of large dissipation surfaces. 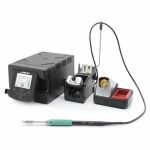 The JBC Tools HDE-1B is the most popular heavy duty soldering station around. Choose a JBC Tools Heavy Duty Soldering Station Today.